I'm a romantic. I always have been. Not in the love sense, either. I live for the moments that define our lives. Tomorrow night will mark another one of those moments and, frankly, I'm not ready for it. 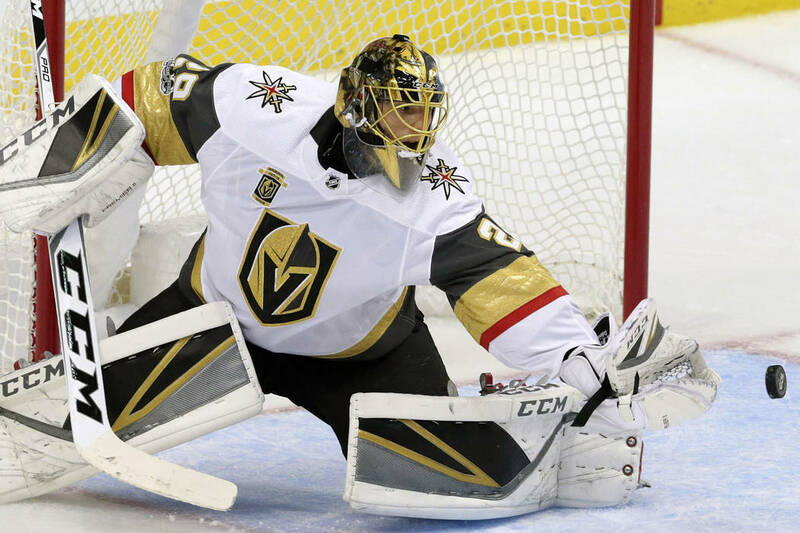 Though he's officially been gone for months and has started games for the Vegas Golden Knights, Marc-Andre Fleury still feels like a Pittsburgh Penguin. Even though I've seen him play for the Knights with my own eyes and there's a photo embedded above that has proof of his having played them I still can't believe it. Tomorrow night any pretense of that will be out the window. Tomorrow night a healthy Marc-Andre Fleury will take on a healthy Matt Murray and mentally I'm not ready for this. I've made no secret about my love of Fleury. He was MY guy. He was MY draft class. Born the same year, if I'd been many, many times better at hockey this was the year I'd have gone. In addition to this he was actually GOOD. So good he was taken first overall. So good he holds franchise records in wins and shut outs. So good he was part of a gold winning Olympic team and three Stanley Cup champions. None of the above speaks to the infectious smile, one that never left even as he was relegated to back up on the only team he'd ever known. It ignores the pranks he'd pull on teammates, ones that would liven up the room and lighten up the mood during the darker years of the Crosby era. It leaves out the countless acts of charity Fleury fulfilled with the desire to not receive any credit for his good deeds. It belies the fact that as far as humans go, he's one of the best. The Penguins have moved on from Fleury. Fleury has moved on from the Penguins. I haven't moved on from Marc-Andre Fleury, player, or Marc-Andre Fleury, human. I'm not ready for tomorrow night. You're not alone bud! It is clear that the Pens commentators still see MAF as a Penguin in their hearts. It will be interesting to see how Patric Hornqvist plays the crease.